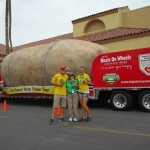 Last week’s highlights were anything but the standard for the Famous Idaho Potato Tour. Mechanical malfunctions led to a standstill the first two days in Phoenix, which left the crew hotel-ridden. 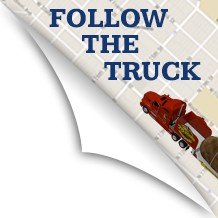 But even with this short coming, the Tater Team was overwhelmed by the activity they were receiving on Facebook. When the events finally got started up on Wednesday, they were surprised by two unexpected visitors. Both proved to be very active people and both proved to be potato aficionados! On Friday the team headed out of Phoenix only to leave one desert for a glowing oasis in another… that could only mean thing… Vegas baby! While the truck was in the shop the team had to find a way to stay busy. So what did they do? They executed the BIGGEST and most EXCITING contest yet! 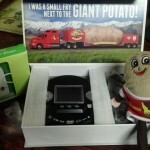 In a pyramid style setup, fans were able to win a Spuddy Buddy or hat, MP3 player, AND portable DVD player by referring 25 new fans to the Famous Idaho Potato Tour Facebook Page. Over the weekend the contest was pretty slow and controllable… but come Sunday everything changed. The right people must have seen the contest because things just got CRAZY! Every time the team checked the page they had 40-50 new likes and wall comments. To make it easy to verify peoples’ lists, the team typed each new fan into an Excel sheet. By Wednesday they had typed in almost 1,000 names, just about doubling the original amount of fans. 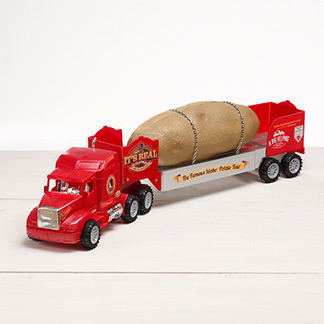 By the time it was all said and done, they had 22 grand prize winners, one winner who received all but the DVD player and another who simply wanted a Spuddy Buddy. 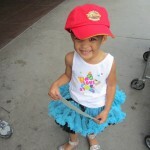 It took two days to organize, pack and ship all of the prizes in one massive assault on the United States Post Office. Good work fans! 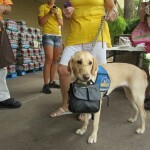 But be reassured that we still have plenty of MP3 players for future contests. Muhahaha! 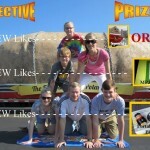 The contest; the prizes; the WINNERS! 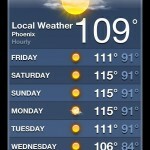 With the temperature pushing 115 degrees, the crew set out for their first events in Phoenix on Wednesday. The weather was unforgiving but the people were pleasant as they pitied us newbies. While at the Sprouts in Phoenix the team was approached by Steve Papp. 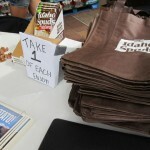 The crew had their Idaho Spuds samples out, like they often do, which sparked a very interesting conversation. 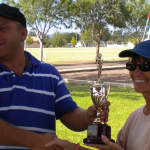 Apparently Steve and his wife, Rose, participate in races around the Texas and Arizona area. But these aren’t just any races; they are 24 hour long races! Some of which are called Geronimo 24 hour events. And did I mention they are in ARIZONA and TEXAS? How could one physically or mentally endure such a challenge? And what fuels these competitors as they torture themselves out in that blistering sun? Well maybe the answer is obvious for some since WE are talking about it but for those of you who haven’t figured it out yet, it is POTATOES! And why not? Potatoes are a great source of energy, potassium, fiber, B6 and vitamin C, while containing only 110 calories (on average), NO sodium, NO fat and NO cholesterol! 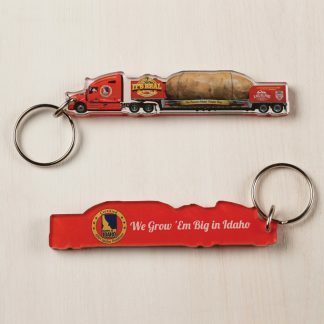 It is no wonder that Idaho® Potatoes are certified heart healthy by the American Heart Association. 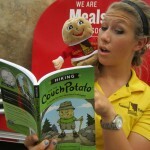 Steve says that potatoes are popular in two forms on the trail: baked and mashed. 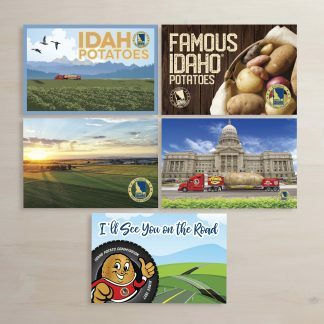 He says the dehydrated products provided by companies such as Idaho Spuds and Idahoan are ideal for his training and traveling regimens. Ellis was sure to give him plenty of product to get him through the next race, and was thankful that he was not the one participating. 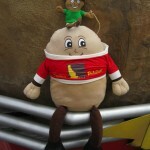 Shelly Gillespie IS the Couch Potato Lady; Kaiti is teaching Spuddy not to be a couch potato; just a couple of ‘spuds’ hanging out! On Friday the crew said goodbye to Phoenix and set sail for Sin City! Five and a half hours later, 300 miles and one Hoover Dam crossing later, the team had arrived. 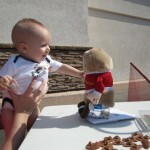 Smith’s was the host of the giant spud all day Saturday as the desert sun blazed on. 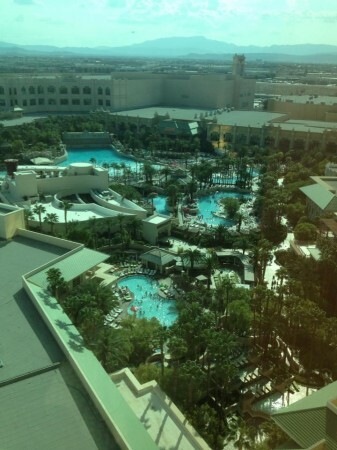 Lucky for the team, they got to stay at Mandalay Bay which is known as having the #1 pool area in Las Vegas. I mean is there anything a wave pool and lazy river can’t overcome? With all kinds of shows and dance floors in abundance, the Tater Team seemed to be in a great position to enjoy their last weekend before touching back down in Idaho and leaving behind the desert (and deserted) lands they have been trekking through for the past several weeks.